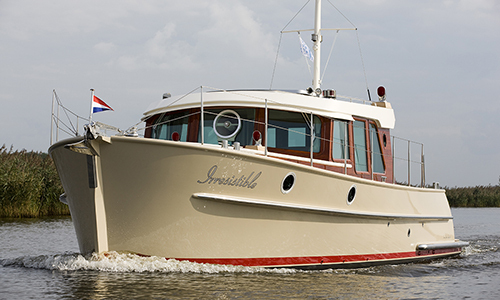 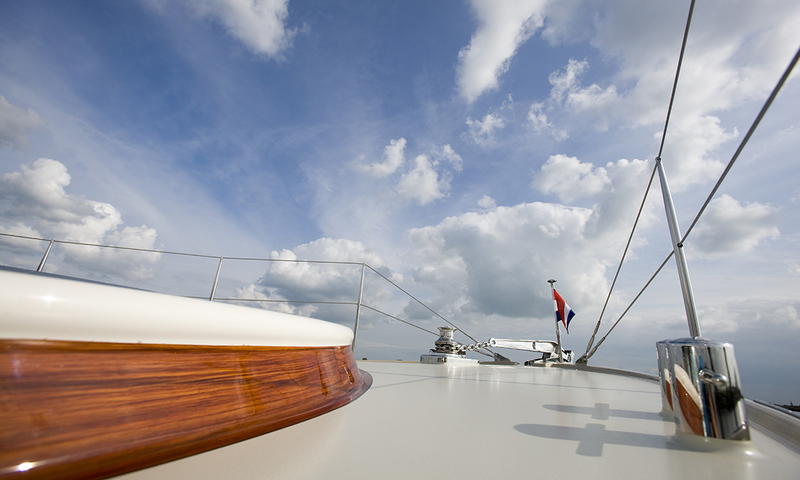 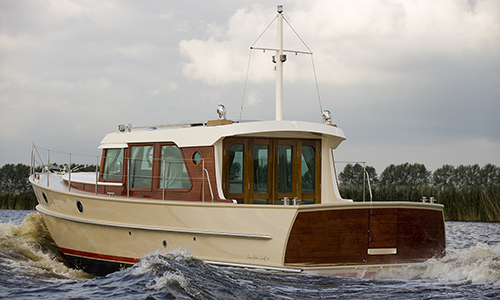 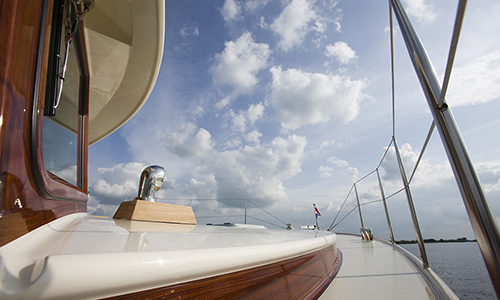 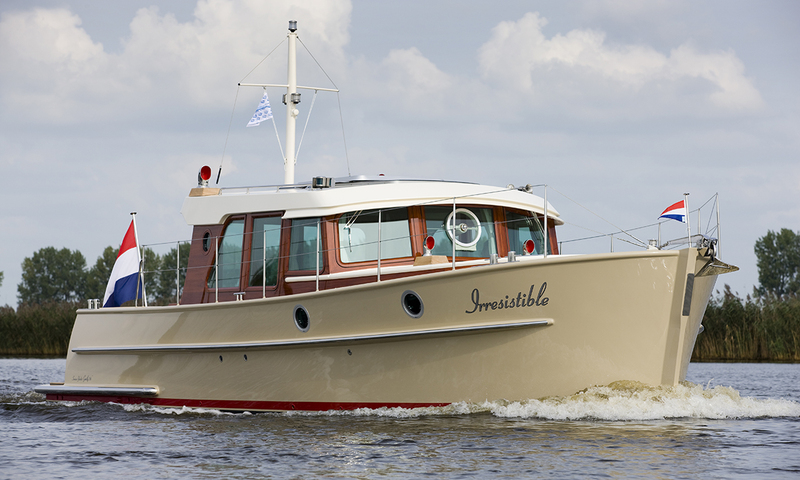 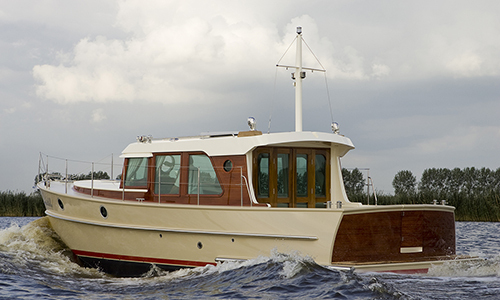 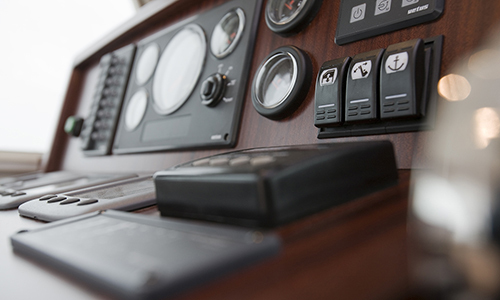 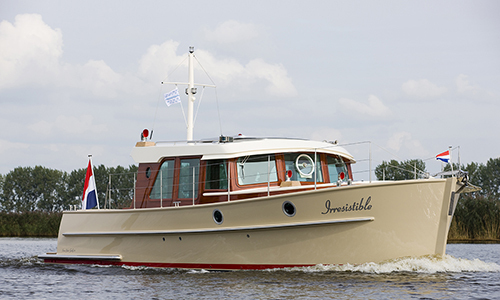 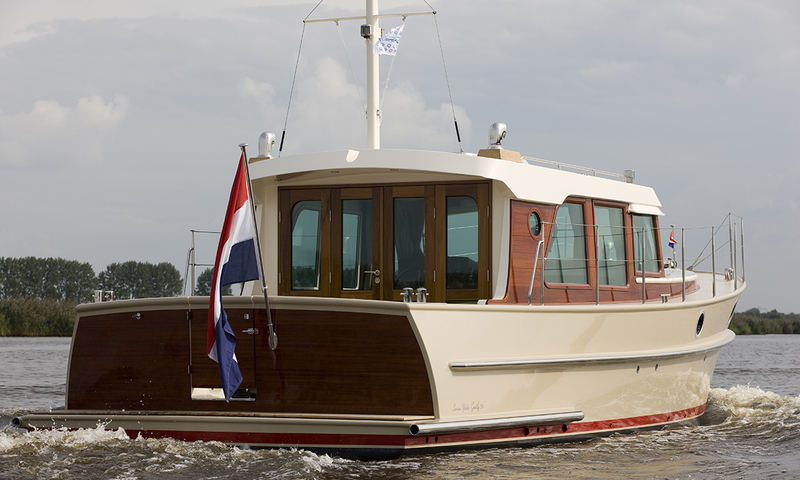 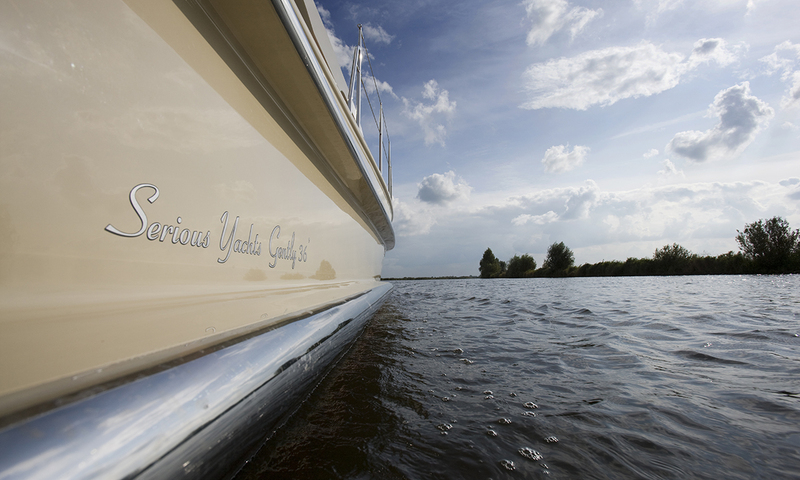 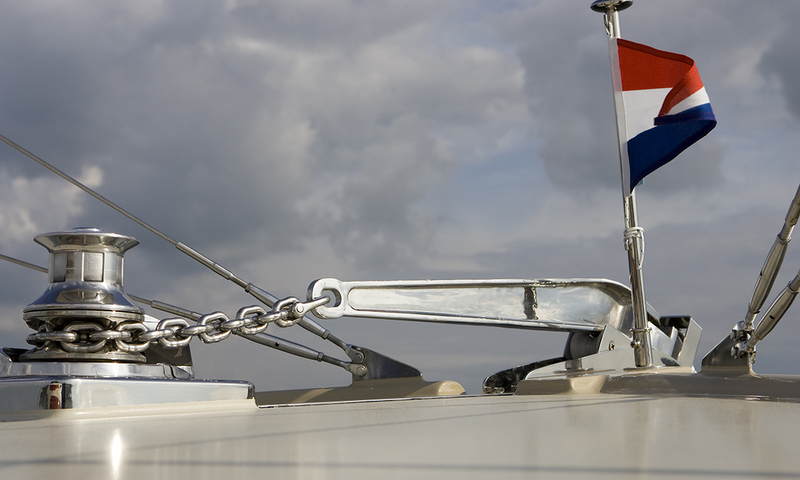 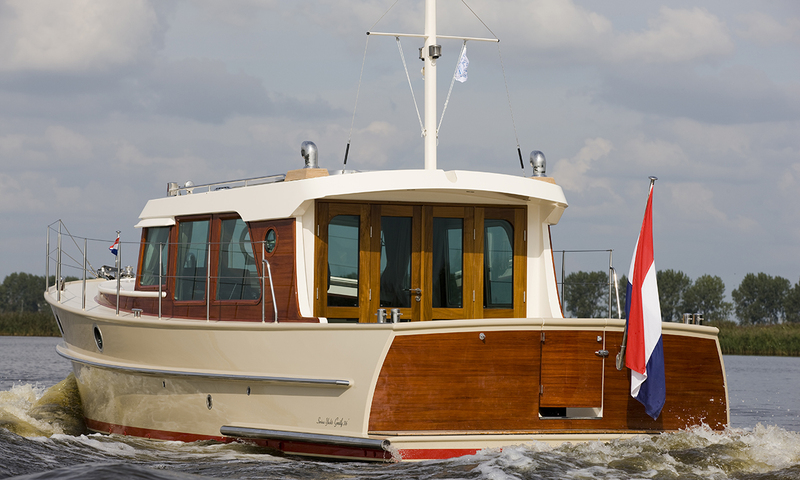 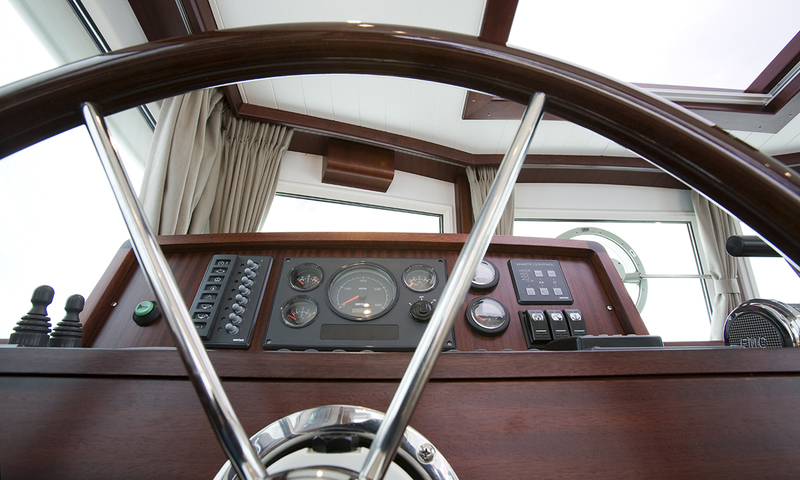 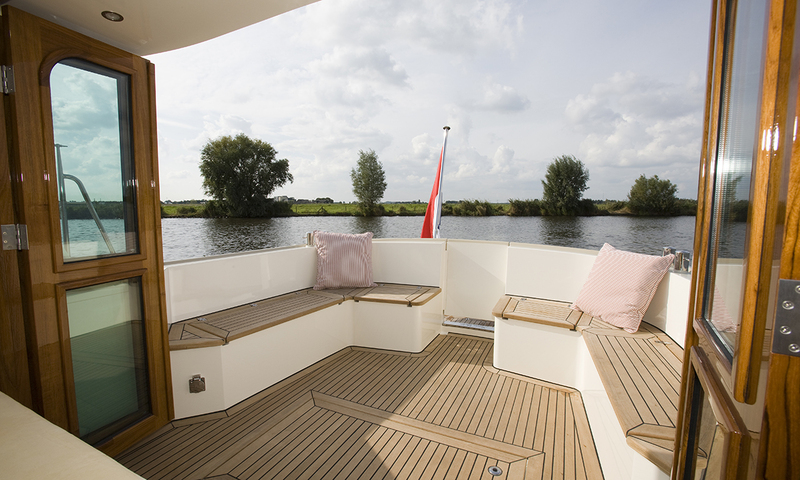 Tasteful and modest, those are the signature characteristics of the Gently 36&apos;. 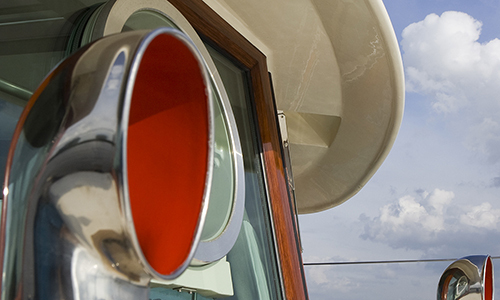 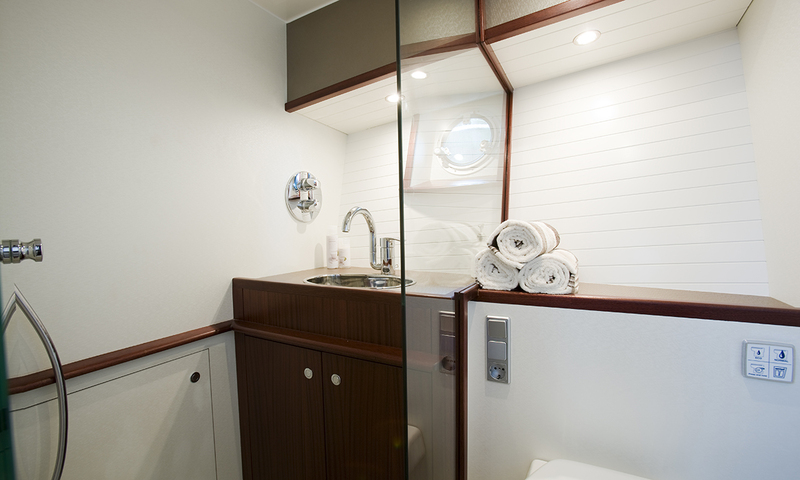 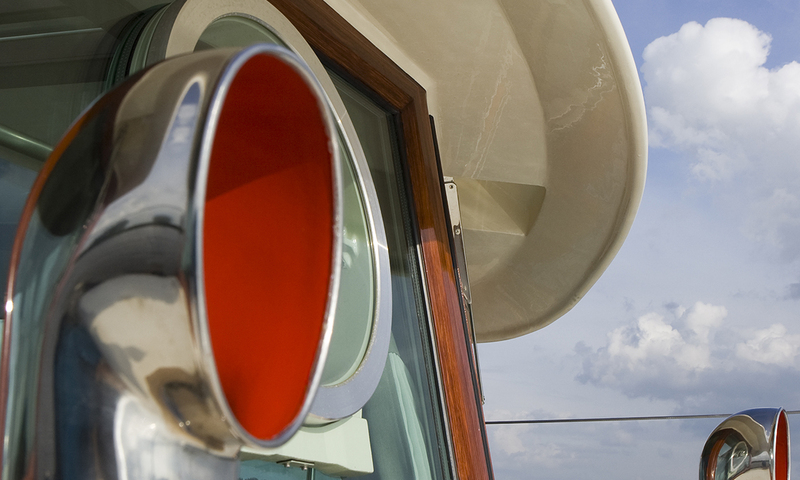 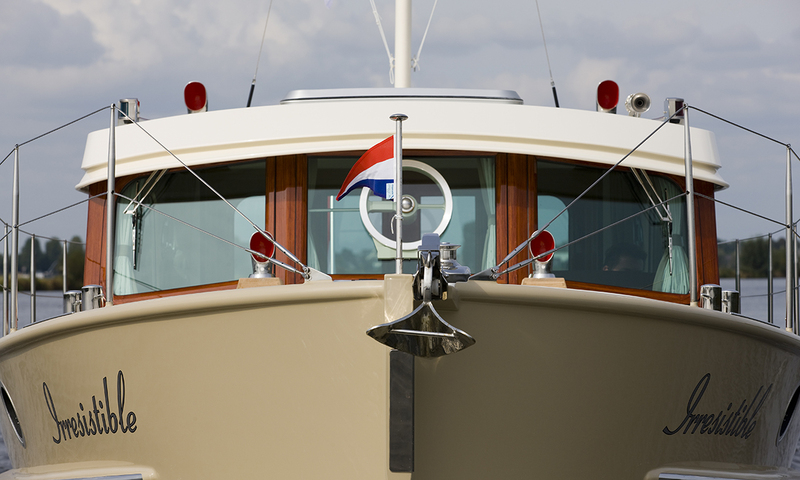 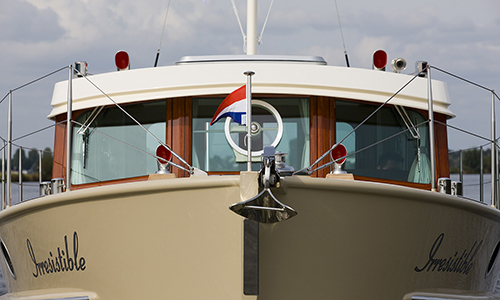 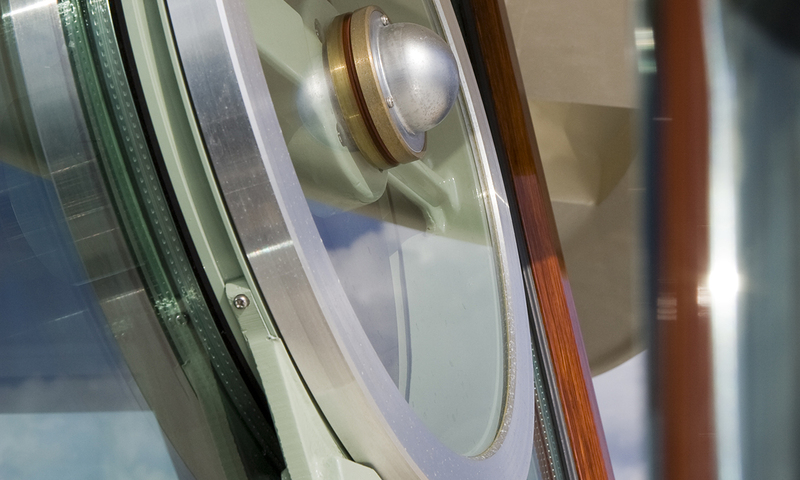 A stylish appearance with irresistible attention to detail: from the (optional) wooden cabin to the classic portholes and mast. The fully-folding teak doors will effortlessly blend the open cockpit with the saloon. Despite the relatively modest length of 11 metres, this yacht offers ample space. 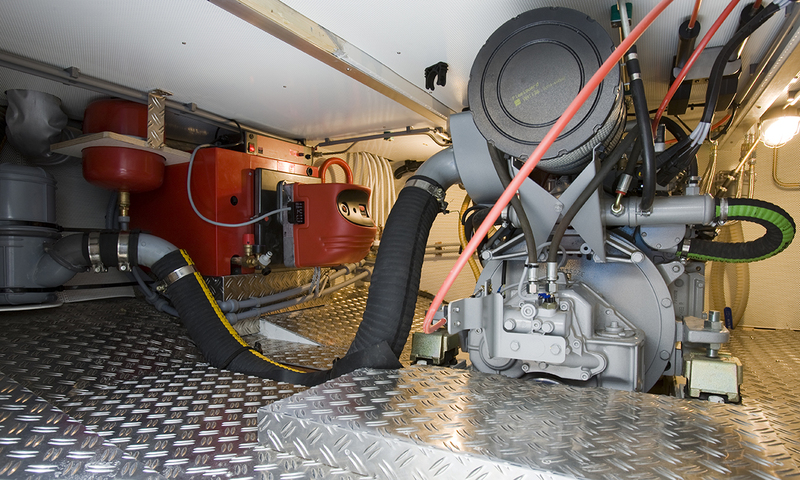 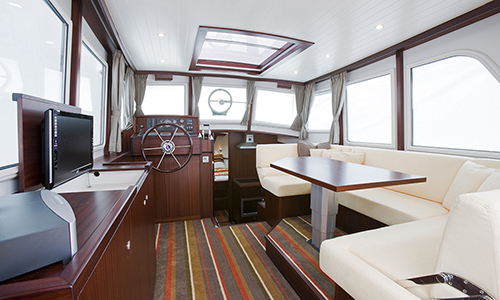 The headroom is over 2 metres throughout the ship and the cockpit’s wrap-around seating offers enough room for a group to enjoy life. 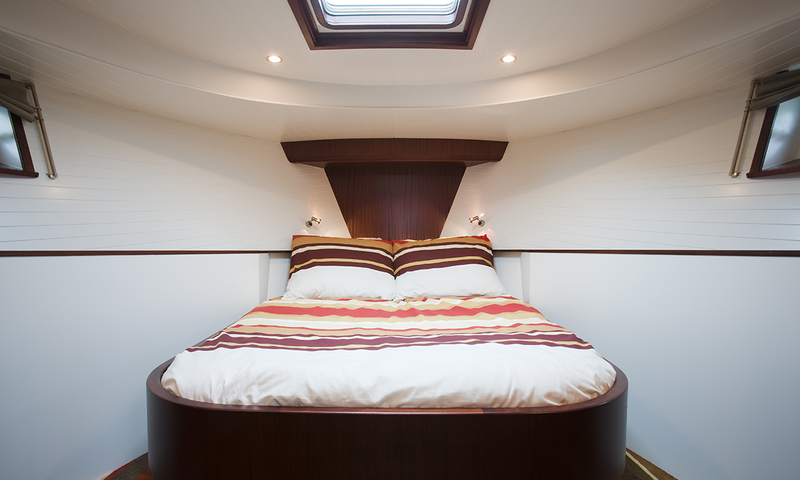 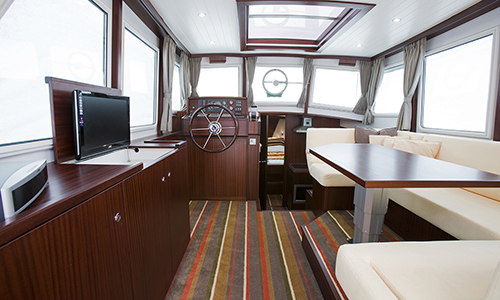 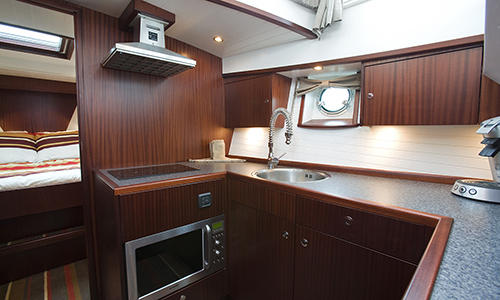 The Gently 36’ has a large, freestanding bed in the captain’s cabin, and the dining space can be turned into a double bed, meaning that guests are always welcome.